The AP LNG project is a coal seam gas (CSG) to liquefied natural gas (LNG) project delivering a lower emission, cleaner, greener sustainable energy source to major industrial customers, homes and businesses in South East Queensland. It is intended to be a source of major investment through to 2020, creating around 10,000 jobs throughout the life of the project. 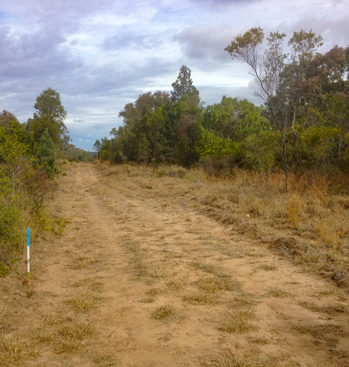 Jensen Bowers provided survey services across Condabri, Reedy Creek, Combabula and Spring Gully for in ground services, hardstands and associated infrastructure. Services undertaken included RTK GPS survey for remote areas, as well as 3D control for bulk earthworks, quantity surveys and large area control networks. The team also provided services in the Surat Basin and Gladstone localities. Tasks in these areas included set-out for civil construction, buildings, permanent camps, road infrastructure, service infrastructure, boundaries and control. Survey services met the client’s bottom line and provided them with spatial solutions to optimize workloads. Our consultative approach yielded great savings for the client by minimizing required imported materials and optimising earthworks.